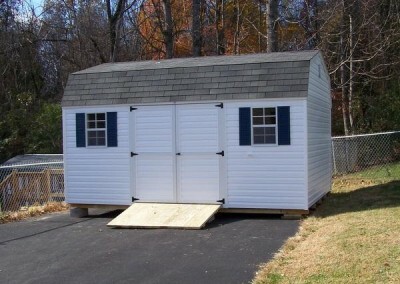 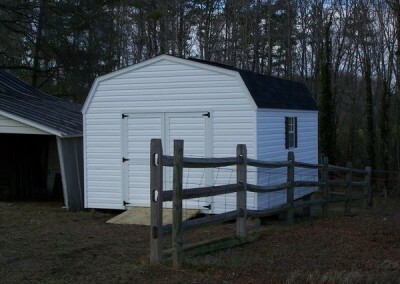 A 10×12, vinyl shed with a barn style roof. Shed has two windows and a set of double doors. 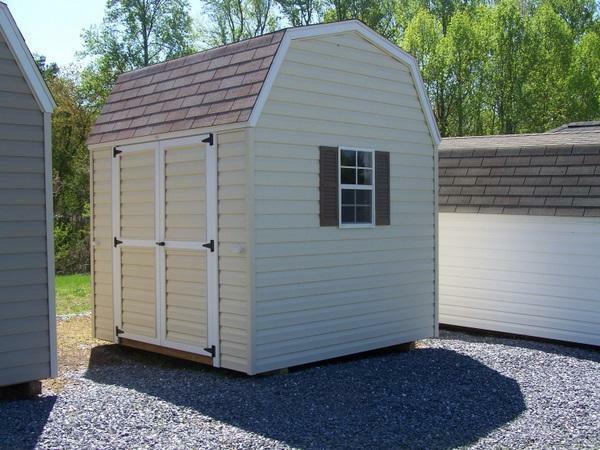 A white vinyl shed with a set of 4 foot wide double doors. 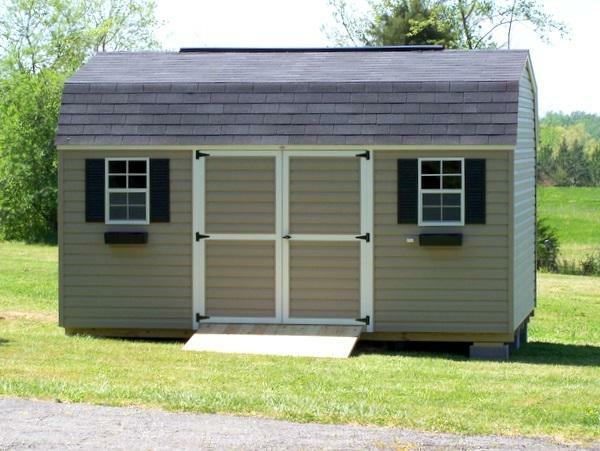 Shed has two windows and a wooden ramp. 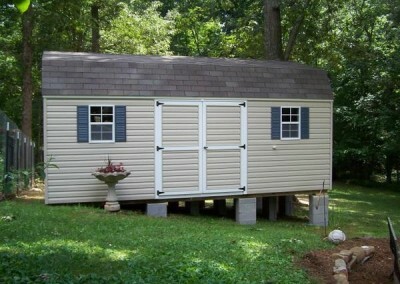 The roof is a barn style and is shingled. 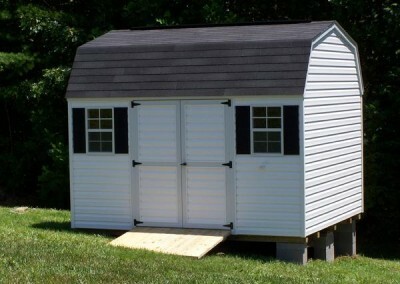 12 x 16 V-High Barn with white siding and trim, estate gray shingles and bedford blue shutters with a treated wooden ramp. 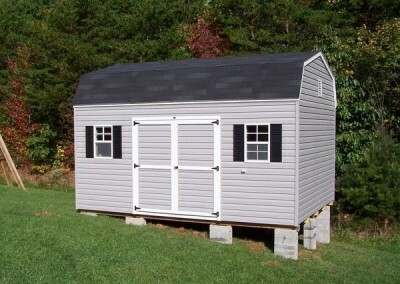 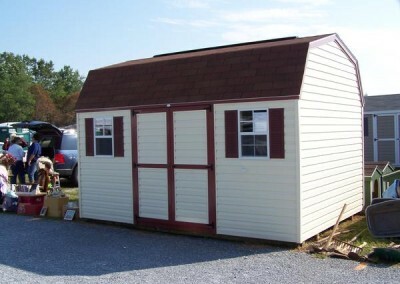 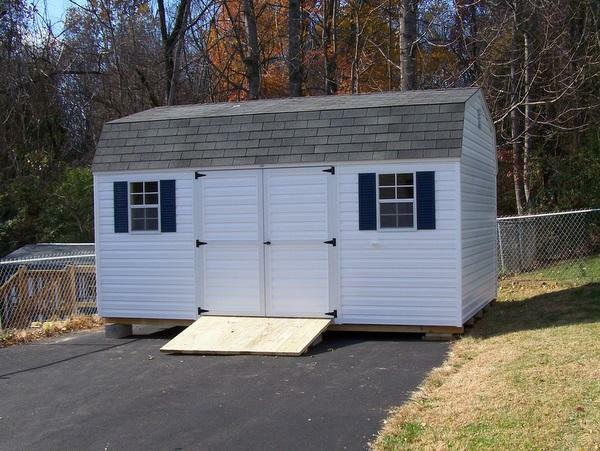 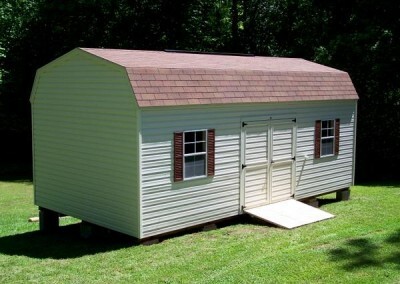 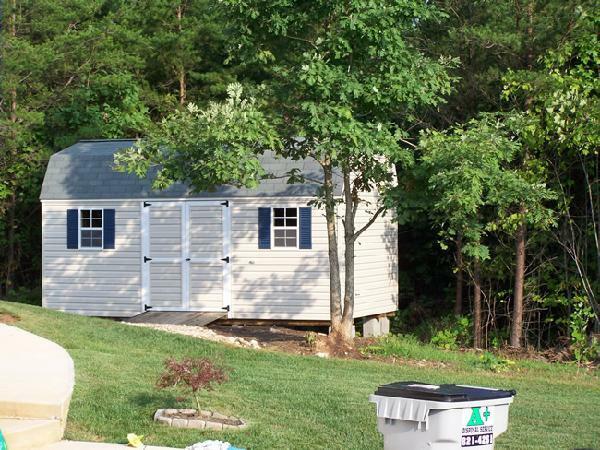 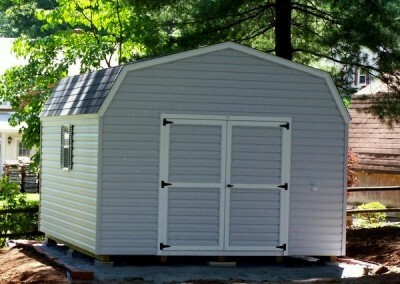 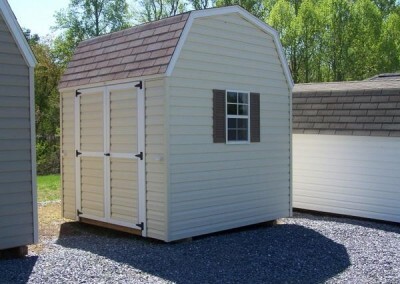 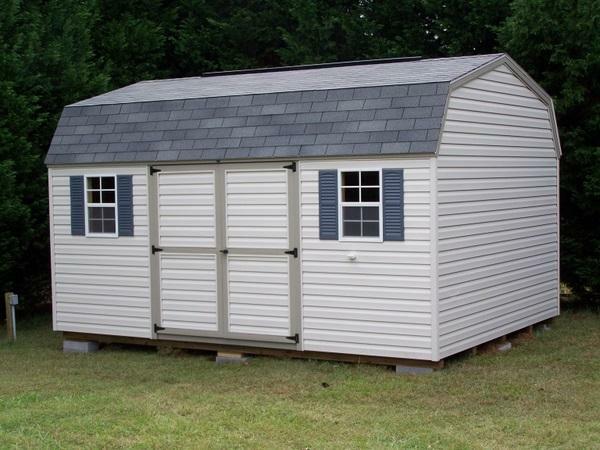 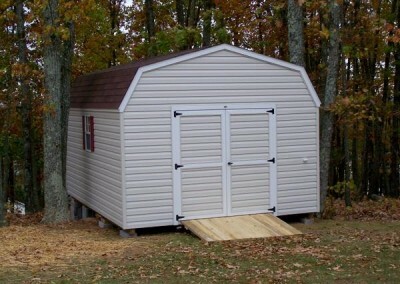 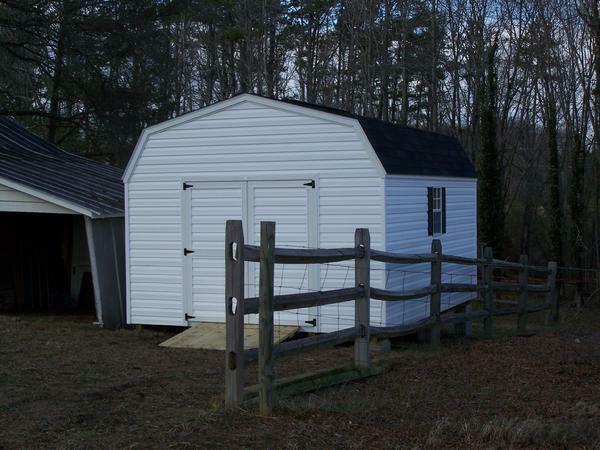 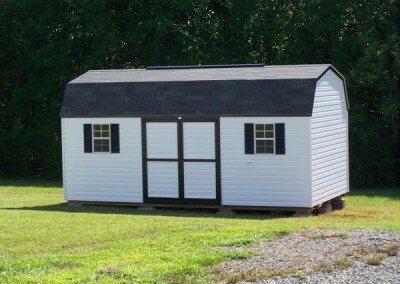 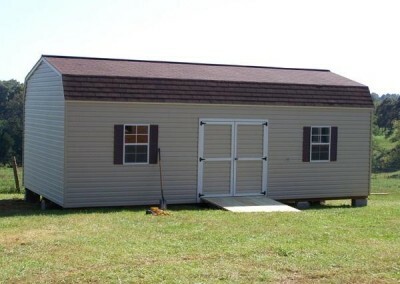 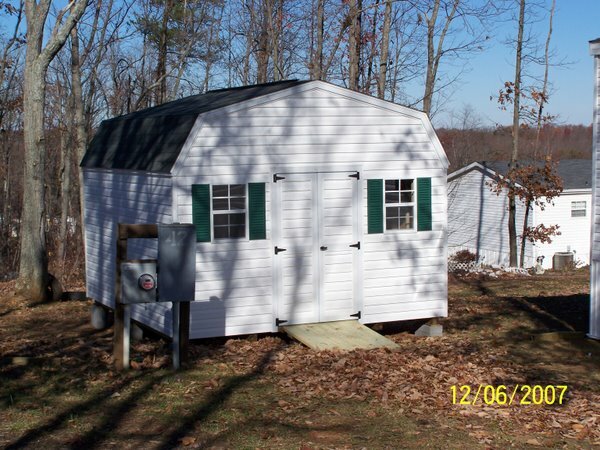 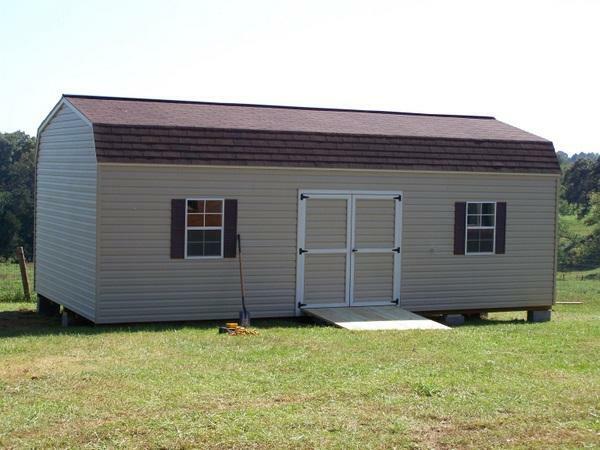 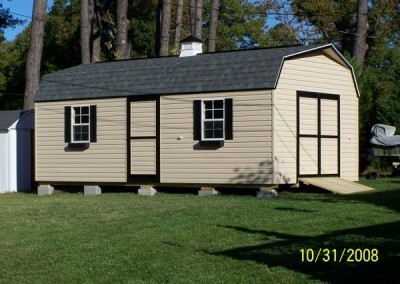 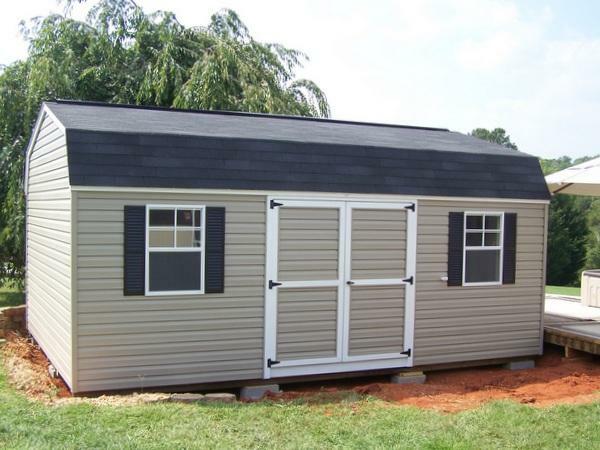 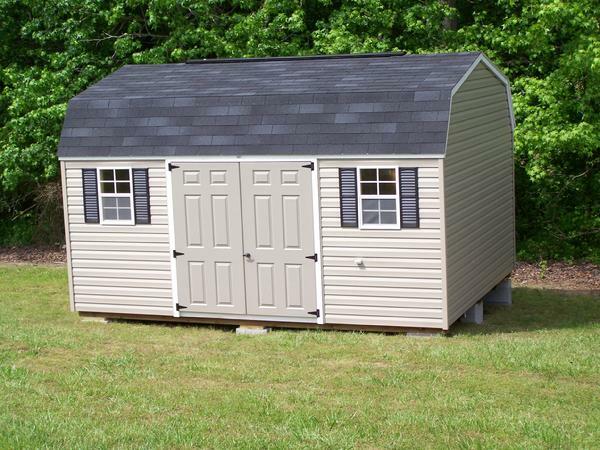 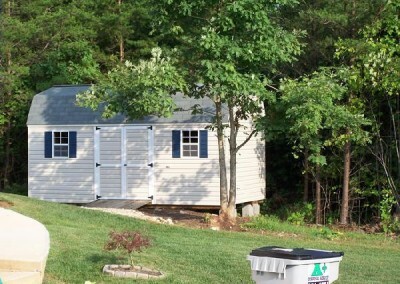 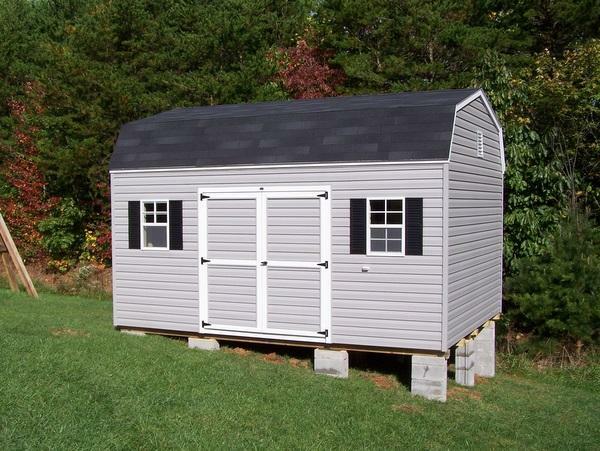 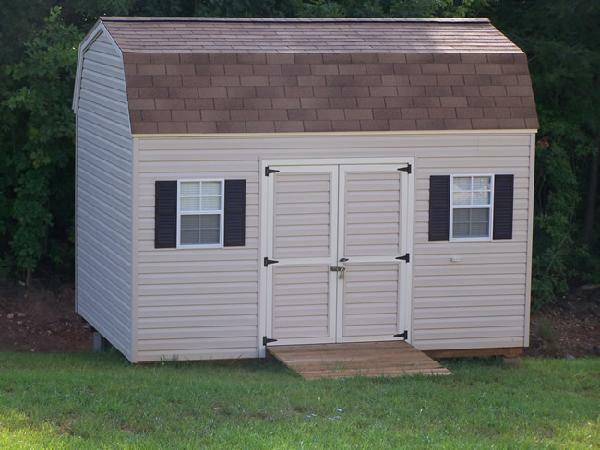 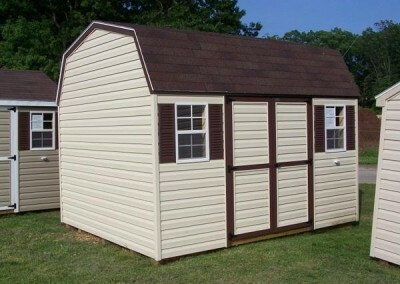 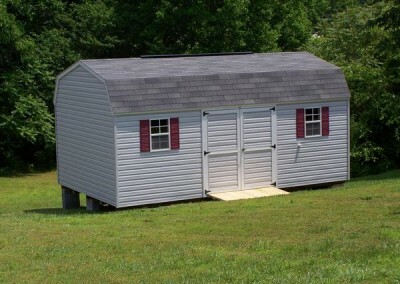 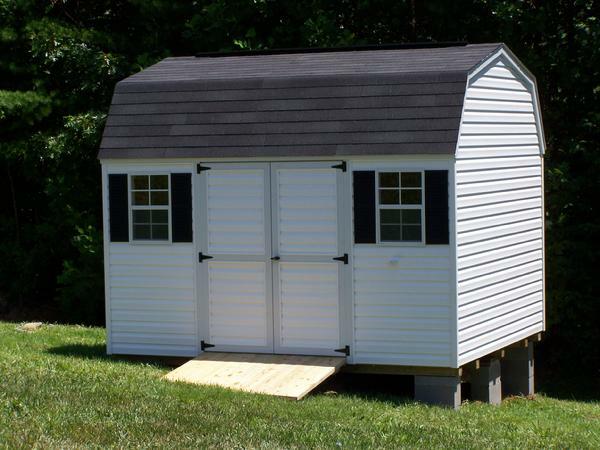 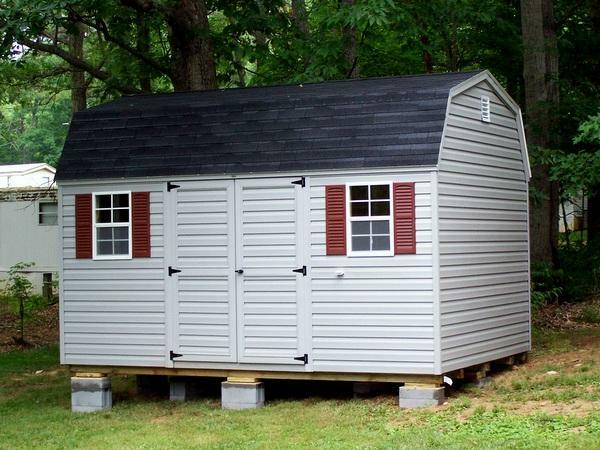 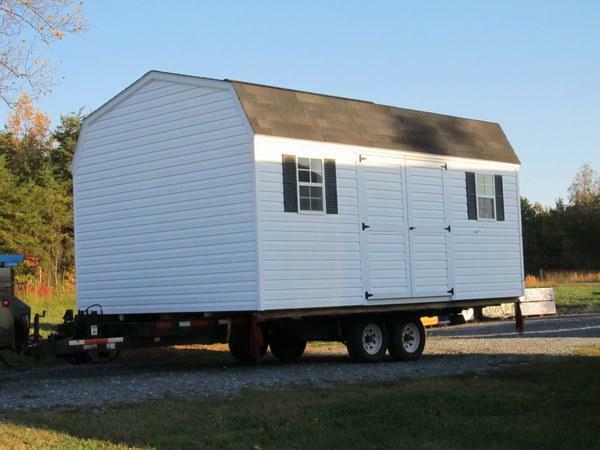 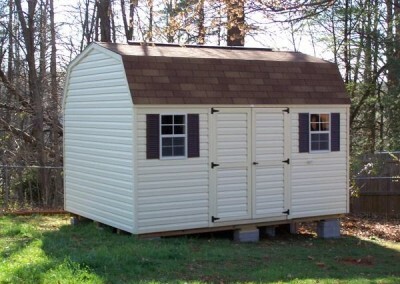 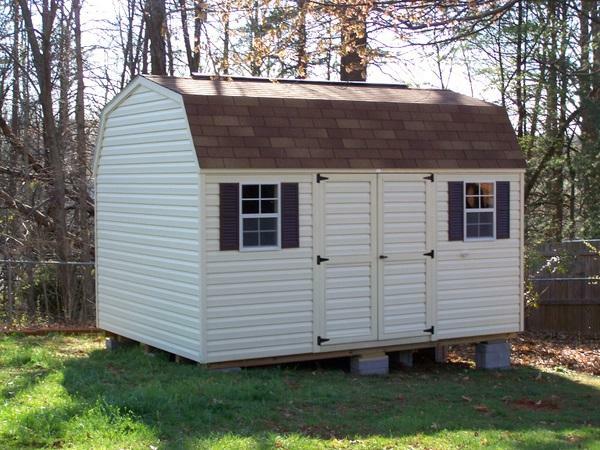 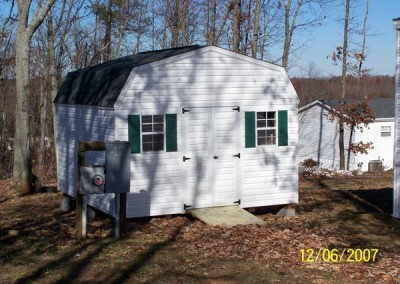 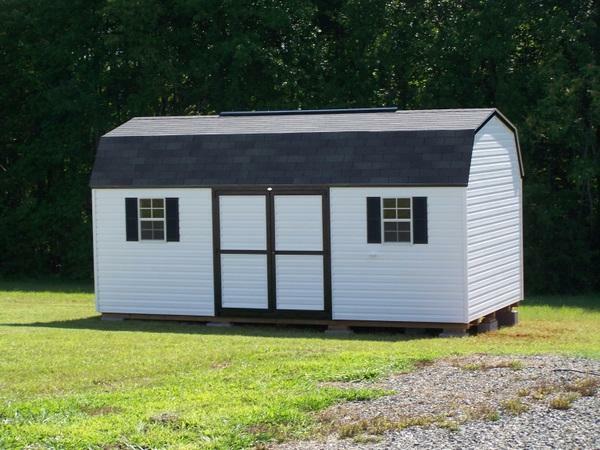 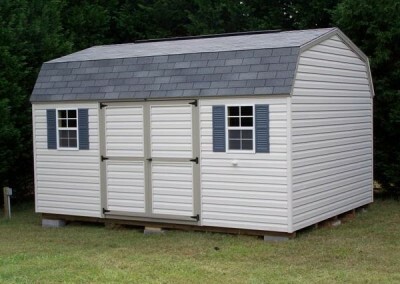 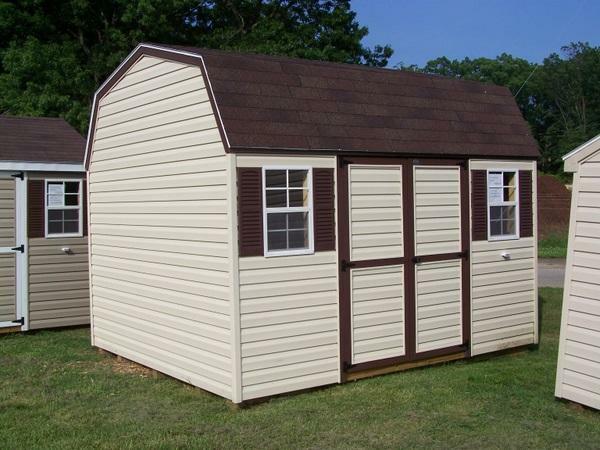 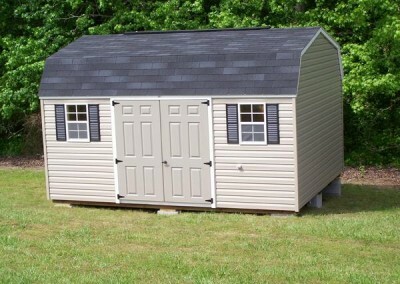 A vinyl 14×28 size shed with a barn style, shingled roof. 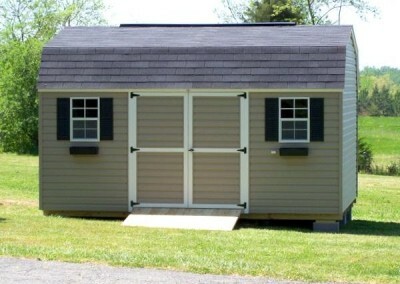 Shed has a set of double doors and two windows on either side with shutters. 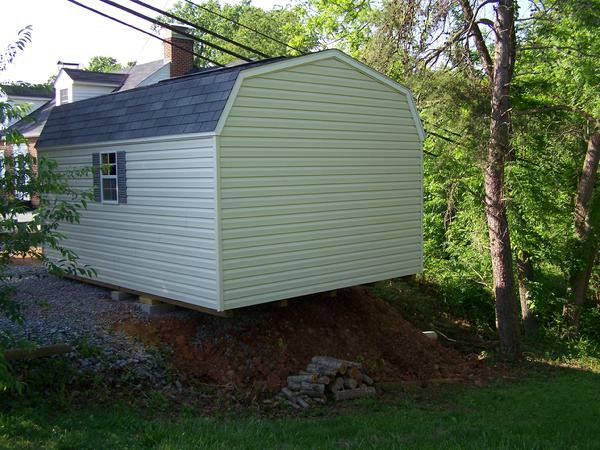 Shed has a wooden ramp. 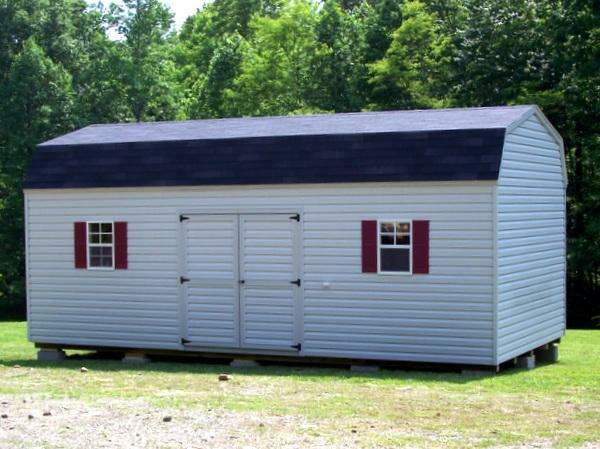 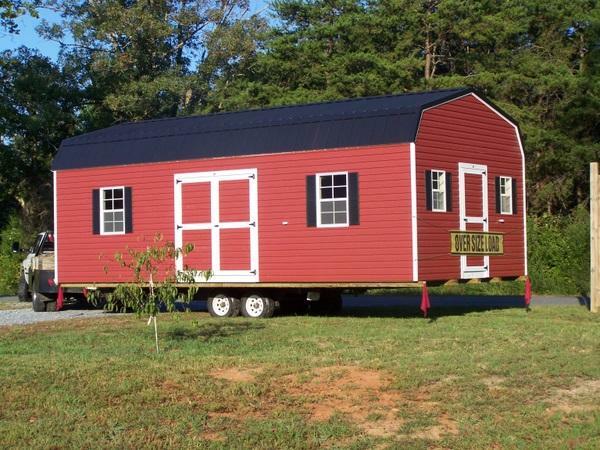 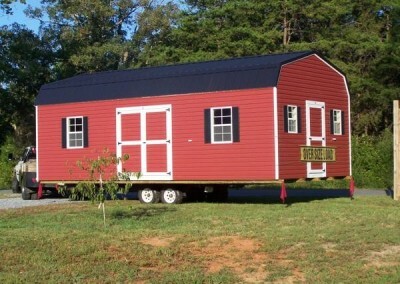 A red vinyl, 14×28 size shed with a black metal, barn style roof. 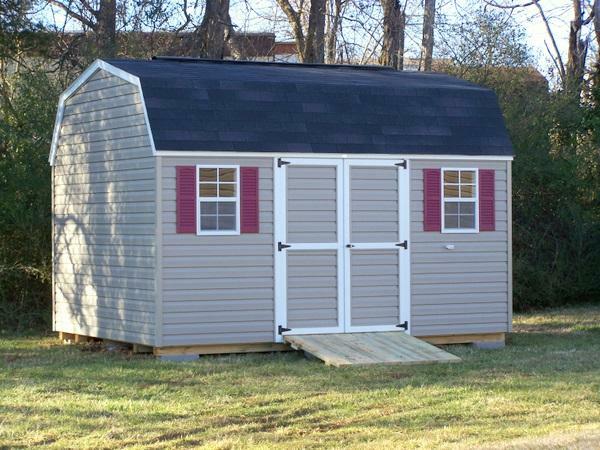 Shed has two large windows and a set of double doors along one side. 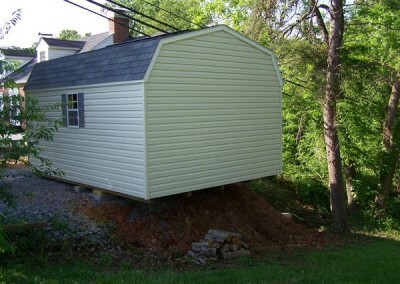 On gable end, the shed has a 3 foot vinyl door and two smaller windows on either side. 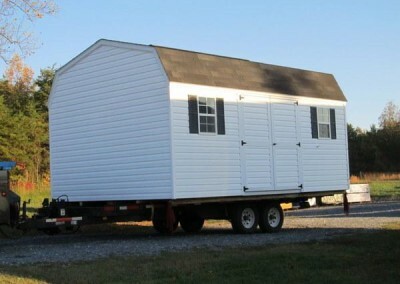 Shed is loaded on a trailer for transport.